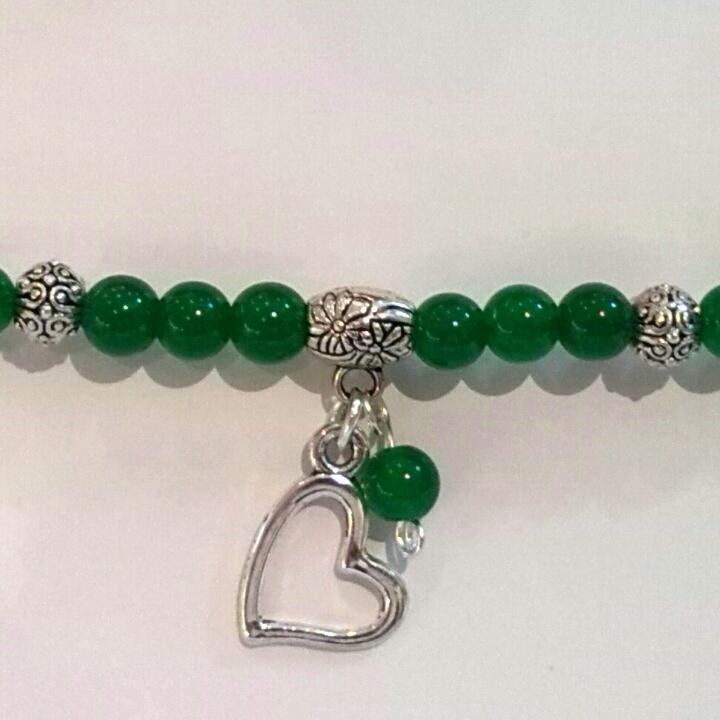 Home / Bracelets / Green Jade Bracelet with Pendant Heart. 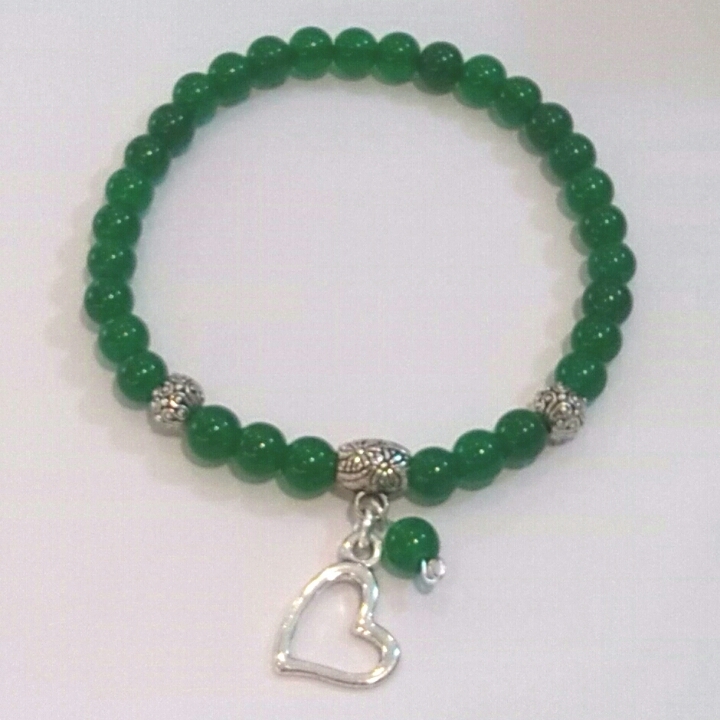 This beautiful bracelet features medium-sized (6 mm) polished green Jade beads, bright Tibetan silver beads and a cool pendant heart. Your bracelet is strung on strong stretch cord, but if you want a clasp instead, please click here to choose one from our clasp gallery and add it to your order. We'll send it in an attractive and practical draw-string pouch or a handsome black box. Please choose from the options shown.